Preparing Active Directory to support Exchange Server 2016 and configuring the prerequisites to install a new Exchange Server 2016. 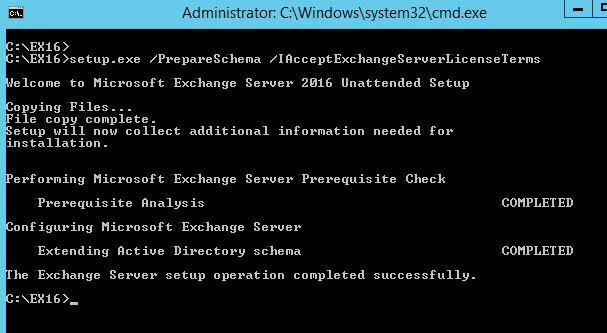 If you would like to read the next part in this article series please go to Deploying Exchange Server 2016 (Part 2). It is finally here, on October 1st, Microsoft Exchange Team released the new Exchange Server 2016, and the blog title of the announcement was: Forged in the cloud. Now available on-premises. That statement makes totally sense. This new Exchange Server 2016 is not a new product per se, Microsoft has been testing and improving on millions of mailboxes in their Office365 environment before releasing the product on-premises. Architecture changes. There are only two roles: Mailbox and Edge Transport. All servers installed on the internal/Active Directory network will have the Mailbox role, which simplifies our lives a lot. Outlook on the web (formerly know as Outlook Web Access, Outlook Web App, or just OWA) is the same used by Office365, and some of the new features are: platform-specific experience for phones (iOS and Android), new single-line view, calendar improvements, better performance and so forth. This article series is divided in two articles, in this first article we are going to cover the Active Directory preparation to support Exchange Server 2016 and the prerequisites that must be in place to install an Exchange Server 2016. In the second and final article of this series we will cover both methods to install Exchange Server 2016 (command-line and setup wizard), and how to troubleshoot and check the installation. The Active Directory preparation to support Exchange Server has always been a hot topic in IT forums. Basically, we have two ways to prepare Active Directory to support Exchange Server 2016: using setup.exe from command line which gives more flexibility in larger organizations, or using the graphical user interface (setup wizard) and that will prepare the Active Directory automatically. By default, the first setup of Exchange Server 2016 will prepare the Active Directory, and to make that work we must add the component RSAT-ADDS to the Windows Components of the future Exchange Server. If you are a small environment, and there is no specific reason to prepare the Active Directory from a different server, then using default settings during the setup wizard will work for you. You should prepare the Active Directory schema from a server located on the same Active Directory site of your Schema Master server. Hint: Use the command net use /domainto validate the group membership of the account, and check if the Enterprise Admins and Schema Admins are being listed. Open command prompt as administrator (for this scenario the command prompt is better than Windows PowerShell) and from the root of the Exchange Server 2016 installation files run the following command to prepare the Schema (Figure 02). This step will add/modify classes and attributes to support Exchange Server 2016 in your environment. After preparing the Schema, the next step is to prepare the Active Directory (Figure 03), and it can be done using the following command. This step will create/update containers, objects and other items in Active Directory, at this point your Organization is established on the Active Directory (we are not defining an Organization because we are adding a server into an existent Organization). The final step is to prepare a specific domain (Figure 04) or all domains of your forest. Using the first command we will be preparing all domains, and on the second one, only that domain will be prepared. The thumb rule here is always prepare the domains where an Exchange Server will be installed or mailbox or mail enabled/users will exist on that domain. 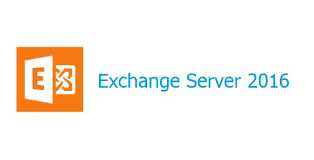 In the second article of this series, we are going to cover both situations: a new Exchange Organization with Exchange Server 2016, or adding a new Exchange Server 2016 into an Exchange Server 2010/2013 organization. 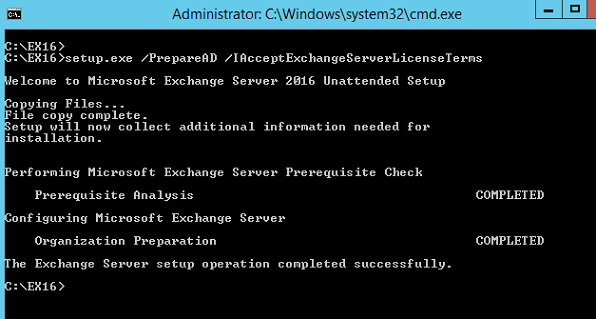 The Exchange Server 2016 installation is a straightforward process when all prerequisites are installed properly. The first requirement is .NET Framework 4.5.2 and a common best practice is to make sure that the server has all Windows Updates installed before moving into production. That being said, we have an opportunity to kill two birds with one stone, we need to run Windows Update on the future Exchange Server and make sure that we select the Important update called Microsoft .NET Framework 4.5.2 for Windows 8.1 and Windows Server 2012 R2 for x64-based systems, as shown in Figure 05. After that restart the server. The next step is to install the Windows Components, although we have an option to force the setup wizard to install them automatically during the setup, but that will require an additional restart which can be avoided. 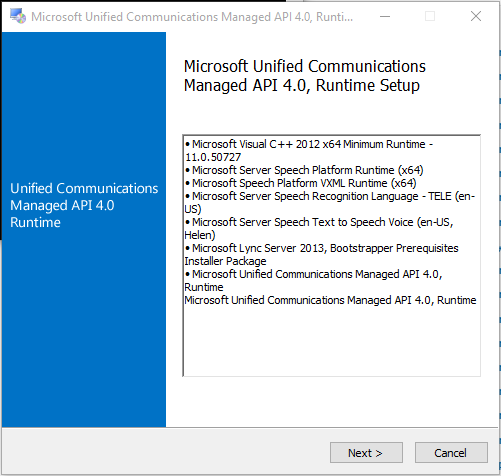 The second step is to install the Unified Communications Managed API 4.0 Runtime and after downloading the file, just execute it. The installation process is simple (Figure 07 shows the initial page), just leave default settings. After installing the tool, the server can be restarted. 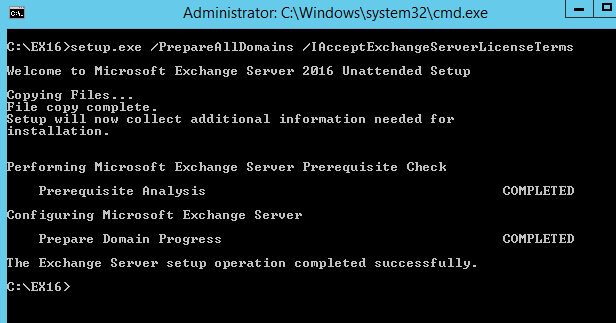 The last but not least, is the Exchange Server 2016 installation files. The download is an .exe file (around 1.6GB). The downloaded file when executed, will ask the location to extract the Exchange Server 2016 installation files, in this article series we will use C:\EX16, as shown in Figure 08. In this article we went through the process to prepare Active Directory to support a new Exchange Server 2016 installation, and the prerequisites that must be in place before starting the installation process. In the next article, we will cover the installation process using command-line and setup wizard (graphical user interface), and the setup differences between adding a server in an existing organization and creating a brand new Exchange Organization.